With short days, dark mornings and cold temperatures, our only way to escape is to go somewhere warm over the holidays. Wouldn't it be great if we could just sleep until spring? 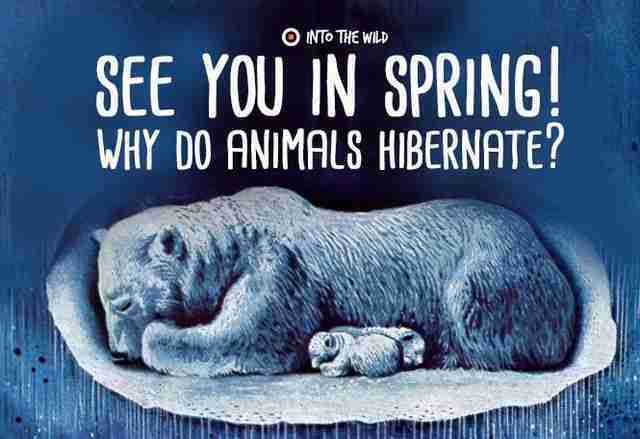 Ah, if only hibernation was for humans! When food and water are scarce and the temperatures drop, the only chance of survival for some animals is hibernation: They put on fat in autumn and then sleep in cosy dens, while their body temperature drops and their heart and breathing almost comes to a stop to use a bare minimum of energy. Some animals take long naps. Their sleep lasts days or weeks rather than months. There are some animals such as skunks and racoons which go into light hibernation. 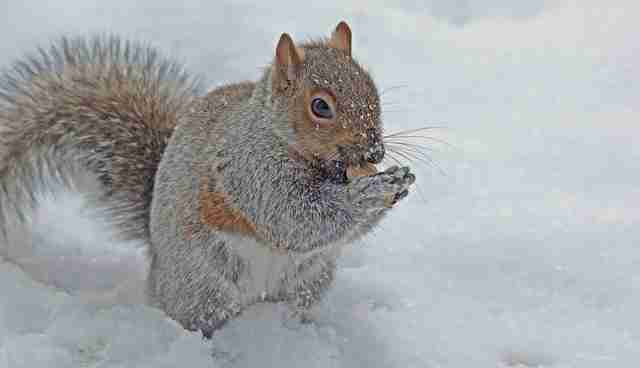 Squirrels spend the autumn months hoarding food, digging holes to hide nuts and then waking up about once a week throughout winter to empty the caches. Bears are also quite active during hibernation, even giving birth in the den. Their heart beat slows down from 45 to only 8 beats a minutes and they can go for over three months without eating or drinking, Their body temperature hardly changes and pregnant bears will care for their young during hibernation. Many smaller animals hibernate for the majority of the year. Marmots for example will only spend four months awake to have their young and then prepare for hibernation. For eight months of the year, they breathe a couple of times a minute and their heart beats every twenty seconds. 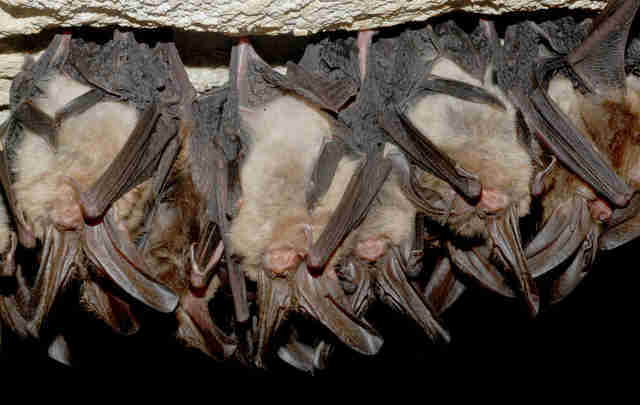 Bats will only breathe every few hours, they are huddled together in caves and save a lot of energy but drop their heart rate: from 1000 beats a minute right down to 25!Snails also spend a lot of time sleeping as they hide from hot temperatures in summer, which is called estivation. In winter they eat a lot of food so they can go without new energy intake for as long as three months, lay their eggs and then close up the hole in their shell with a skin they make of chalk and slime, which keeps the moisture inside their shell. For at least half the year, bees hide in holes in the soil or in a rotten tree. While worker bees and male bees die at the end of summer, the queen bee hibernates and builds a new nest every summer. Marmots hibernate for three quarters of the year, but others take hibernation to other extremes. Woodchucks' body temperature drops from a normal 36 degrees to 3, just above freezing point. While they still breathe every six minutes, box turtles stop breathing altogether, taking in oxygen only through their skin. They hibernate between 75 and 150 days depending on the subspecies and the climate they live in. In warmer climates, they just slow down their activities, but if they do bury themselves, their heart rate will be reduced to one beat every five to ten minutes. 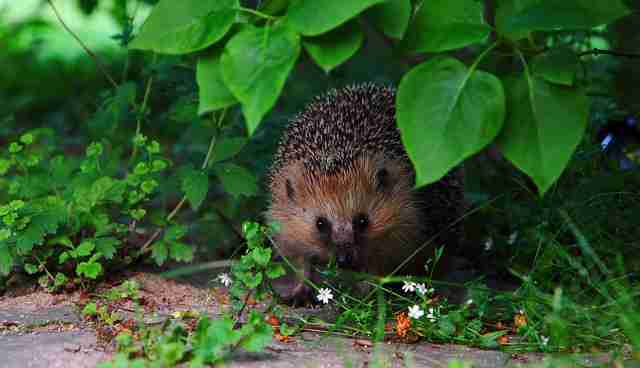 Hedgehogs are some of the deepest hibernators out there – they can sleep continuously through the entire winter and breathe so little it can hardly be seen. Should their body temperature drop too low, their heartbeat picks up again to warm their body, which wakes them up. They may move to another nest and go right back to sleep. The most unknown hibernator is the Poorwill, the only known bird to sleep the cold winter away in rotten logs. 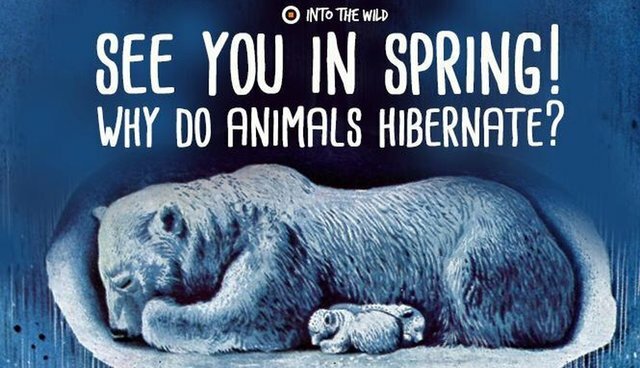 By dropping its energy levels by 93 percent, it can stay asleep for as long as 100 days until spring, when it wakes up and makes it way out of its hiding place, along with all other animals.